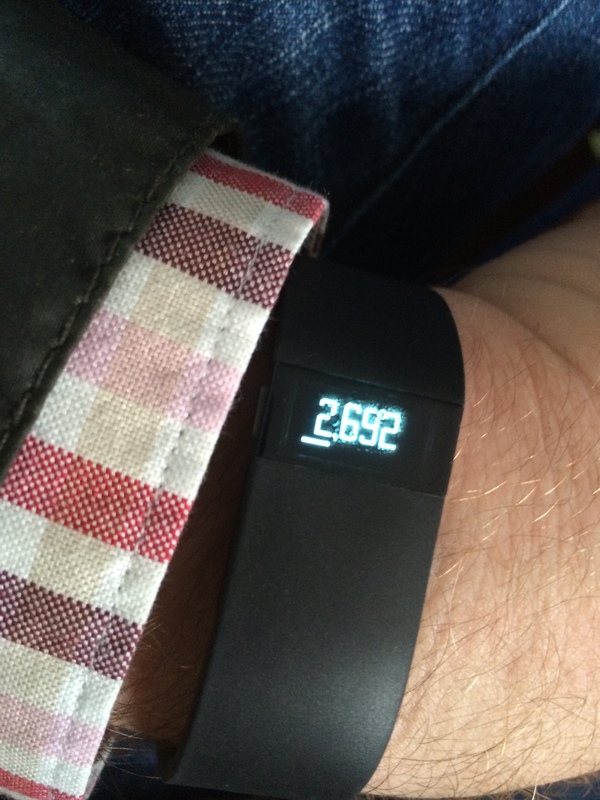 I was excited to receive my Fitbit Force in the mail last week, because I’m constantly looking at my Flex to see what time it is (there is, of course, no clock on the Flex, so this habitual action frequently leaves me feeling quite stupid). The Force is definitely a bit heavier and almost twice as wide, but the quality of the display was excellent and the ability to interact with the device with a button rather than crude tapping gestures was great. Unfortunately, the Force is not even remotely waterproof! I wore it accidentally in the shower for 20 seconds before remembering to take it off, and the device shorted out. For about half a day, the Force flickered on and off while intermittently displaying the Fitbit logo, and condensed water was visible inside the display. Although it ultimately started working again, the problem reemerged after 5 minutes of washing dishes so I stopped wearing the device.